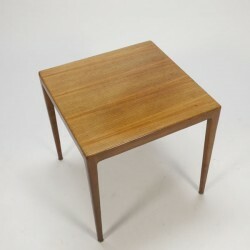 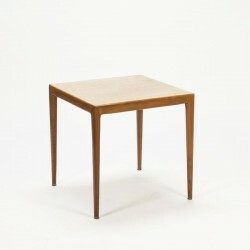 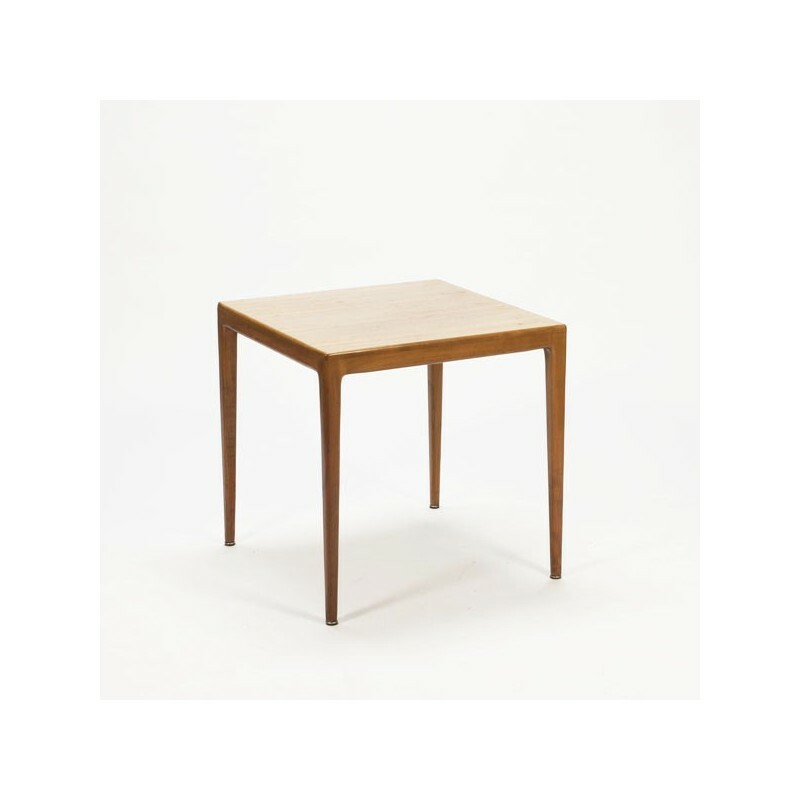 Vintage side table / small coffee table designed in Danish style and made ​​of light wood. 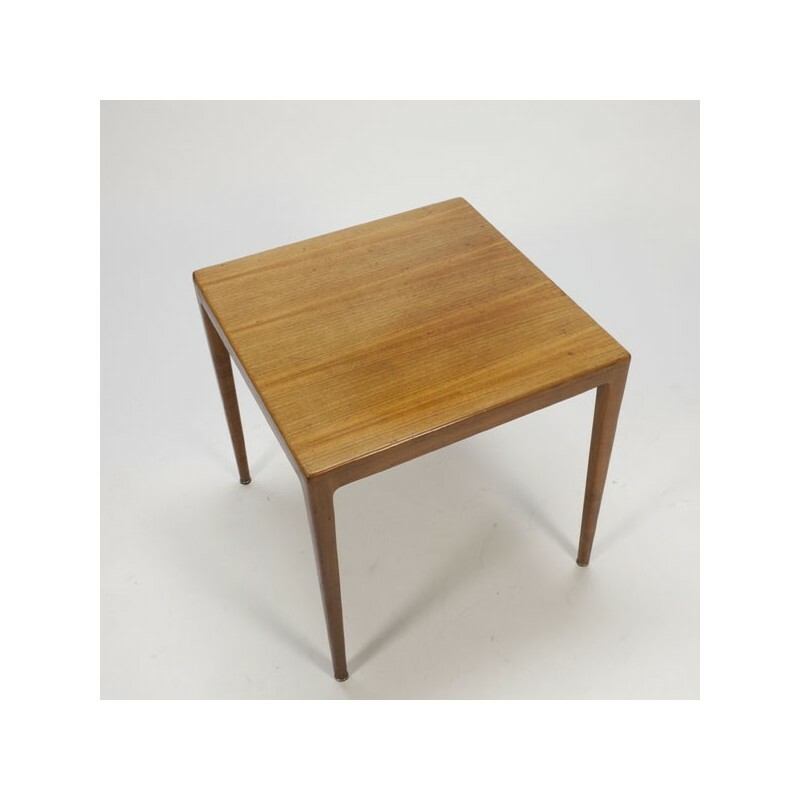 The table is in fair condition considering its age, but there are on the top visible traces of use (for details see the pictures). The size is 55 cm L / 55 cm W / 55.5 cm H.